Life throws some big questions our way. Not least of all … Crepe or American-style, savoury or sweet, toppings or plain? No matter what your preference is, we have all you need to get your pancake party started for Shrove Tuesday on 13 February. 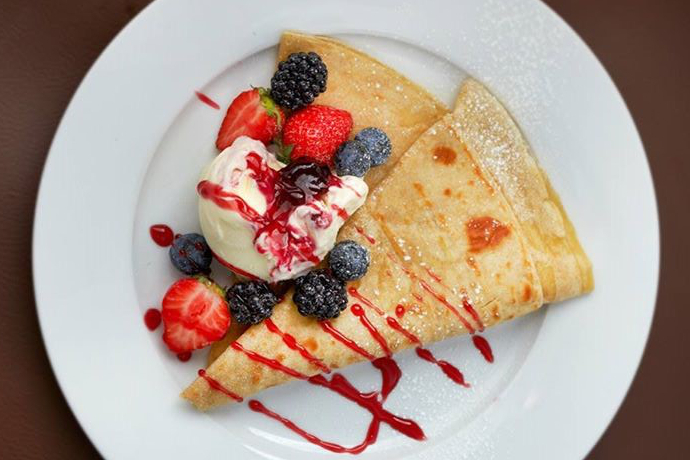 Here are our top place to help you celebrate Pancake Day in Marble Arch! Lanes of London is always a winner in our books, but they’ve upped the ante this Pancake Day with FREE pancakes when you buy any coffee. Heaven, Is that you? Go go go! The Pickled Hen has your top three classics (with a little extra) at the ready – lemon curd and sugar, nutella and toasted hazelnuts, and vanilla pancakes with berries and honey are all for the taking this Pancake Day! If your classic version is more of a fluffy affair, Salt & Honey Bistro has Blueberry Pancakes with maple syrup and powdered sugar. All the yum you’re used to! Are savoury pancakes more to your taste? 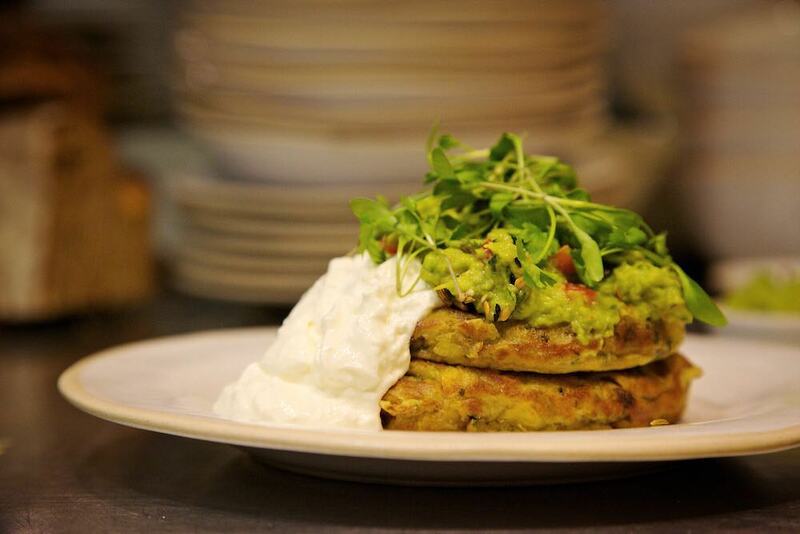 The sweetcorn pancakes at Gail’s Bakery are for you – topped with smashed avocado, sour cream and tomato relish. You can add some scrambled eggs on the side for that extra oomph. Big sweet tooth? Snowflake will make all of your sugary dreams come true with their freshly made crepes topped with your favourite gelato. You can go classic with lemon and sugar, or you can go big and get the Banoffee with sea salted caramel gelato, warm banana, butterscotch sauce and fresh whipped cream. There are plenty of options to test your sweet tooth barometer. 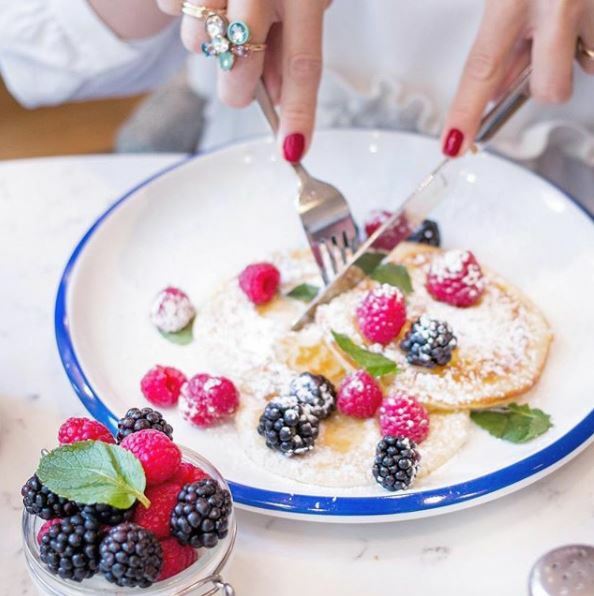 Boxcar London is serving up some thick American-style buckwheat and buttermilk pancakes complete with berry compote, natural yoghurt, blue poppy seeds and honey. You can’t go to Boxcar without getting some meat (well, you can, but you’d be missing out), so get a side of Dingley Dell smoked back bacon, Cumberland sausage or fruit black pudding from one of their independent British butchers. Scandi eatery, Kupp is serving up some Swedish Cardamon Sugar Pancakes with sweet sour cream and lingonberry sauce. Plus they’re vegetarian. Bra! Hunter 486 is showing some love to the other North Americans with their Canadian pancakes topped with berries, bacon and maple syrup. Savoury and sweet all in one! Pancake Day doesn’t mean you have to throw your healthy eating out the window. Deliciously Ella on Seymour Place has can’t-believe-these-are-healthy Chocolate and Banana pancakes complete with toasted coconut flakes & chocolate sauce. Seriously good and good for you! 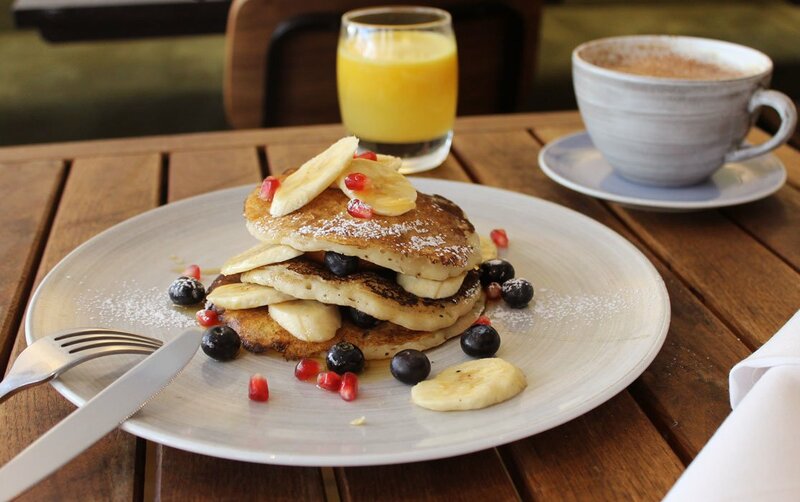 The Gate Marylebone‘s vegetarian Banana and Berry Pancakes give you all the goodness of banana, berries and maple syrup. Pair it with one of their fresh juices like carrot, ginger, beetroot and celery or pear and lime to feel extra good about yourself.